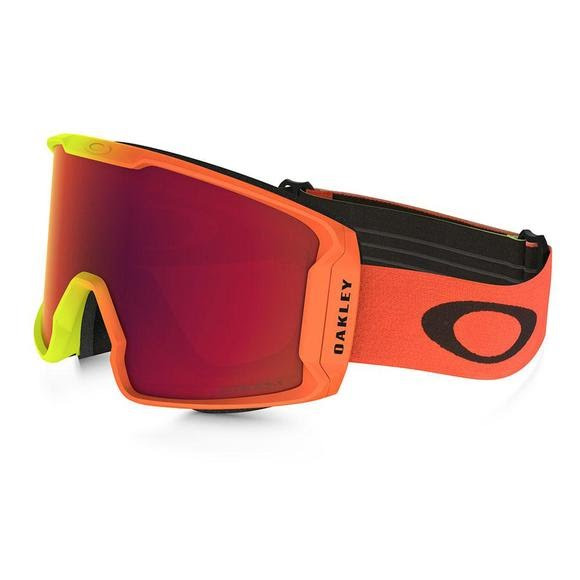 Oakley's Line Miner™ goggle was created with the purpose of providing the ultimate in peripheral version. With a cylindrical style design, Oakley was able to pull the goggle in closer to your face than ever before. Allowing for incredibible downward and side-to-side periphery, this is the only goggle available with the new PRIZM™ Inferno lenses, and Standard/PRIZM™ lens options. Oakley &apos;s Line Miner™ goggle was created with the purpose of providing the ultimate in peripheral version. With a cylindrical style design, Oakley was able to pull the goggle in closer to your face than ever before. Allowing for incredibible downward and side-to-side periphery, this is the only goggle available with the new PRIZM™ Inferno lenses, and Standard/PRIZM™ lens options.